For many in poverty, healthcare can be a difficult to attain. It is even more difficult to get proper dental care. At Amaus Dental Clinic, an all volunteer staff is working to provide oral healthcare for those who otherwise wouldn't be able to afford it. Their clinic is part of a study that is hoping to bring more attention to the inequality of dental care. 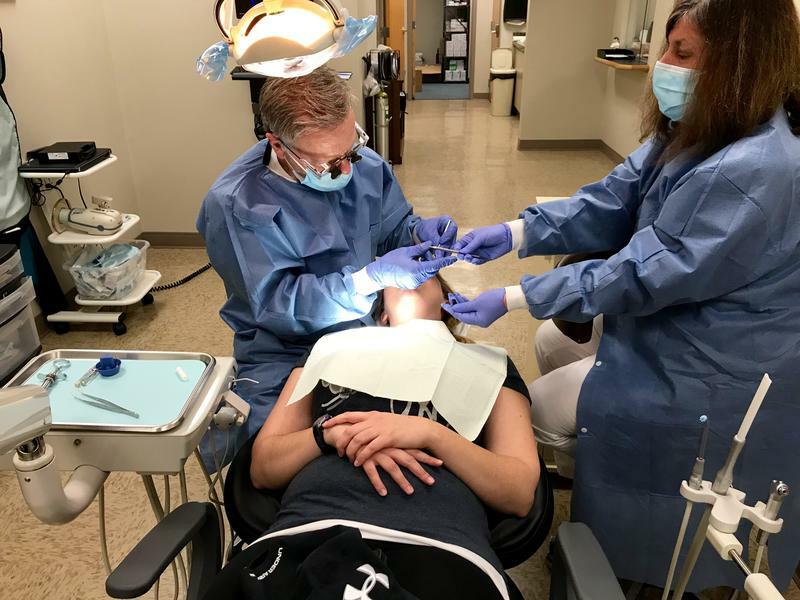 As a part of our series On The Front Lines, Katie Zilcosky talked with staff and researchers at Amaus Dental to find out how they're trying to make dental care more accessible for those struggling with poverty. Katie Zilcosky visits the Amaus Dental Clinic, where they offer free dental care to those in need.